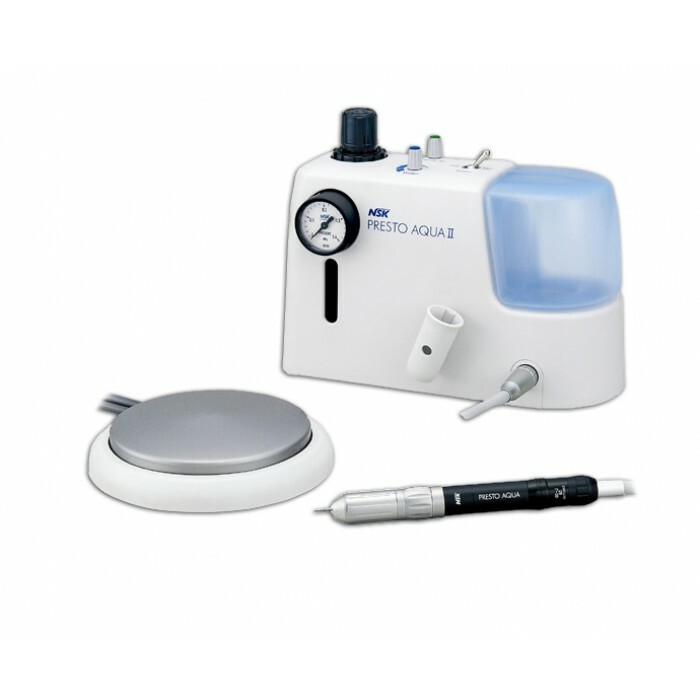 PRESTO AQUA is a high-speed laboratory handpiece with a built-in water supply to spray water directly to a bur and a work spot. Sprayed water eliminates heat generated on the target substrate even in a prolonged application. Specially designed head protection mechanism prevents debris from entering into handpieces and helps to extend turbine's life substantially. Click the button below to add the NSK Presto Aqua II High Speed Air Turbine Grinder to your wish list.